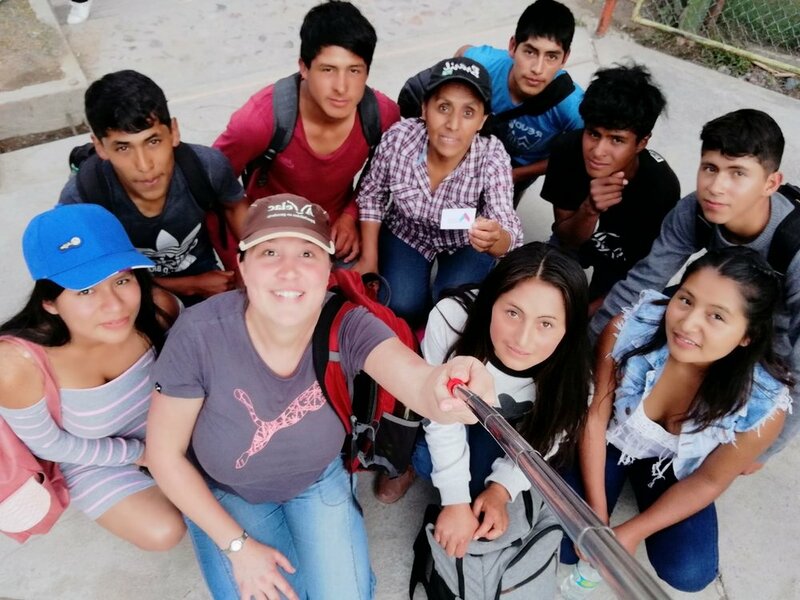 Hannelore Colpaert worked hard for 2 years to set up and realize the Solid youth training Jovem in Ayacucho, Peru. She was really involved in the setting-up of this hands-on formation. She placed the first stones and really worked out the training with the Solid team - like Rosalvina Vilchez Aramburu, Juan Víctor Flores Martínez, Efrain Efra Efrain, Edgar Achallma Cayllahua, ..... and the youngsters. She had not been in Ayacucho, Peru for two years. Now she is back in Ayacucho for a while and immersed herself again in all the Solid projects on the spot - certainly the Jovem project. Read here what Hannelore Colpaert says about it herself. "After 2 years back in Ayacucho I am very impressed with the results we achieve with the Jovem project. The young people have grown into self-assured, innovative, initiating farmers and rural entrepreneurs! And teach this to their families. Some of them continue studying at university thanks to the profits they make with their small business. What used to be an unattainable dream for them is now reality! Unbelievable! This is more than I ever dared to dream! 🎆😍". Newer PostWe proudly present you Laura! She recently joined the team of Solid Food.